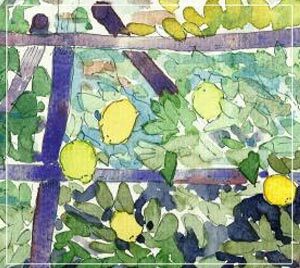 The lemon garden (“Limonaia”) La Malora is located in Gargnano, on the western coast of Lake Garda. It is an old structure dating back to the sixteenth century and is used for the cultivation of lemons. It is unique in its kind: unlike the surrounding lemon gardens, now mostly abandoned or re-developed as homes, La Malora is still a productive limonaia, perfectly preserved and available for visits. 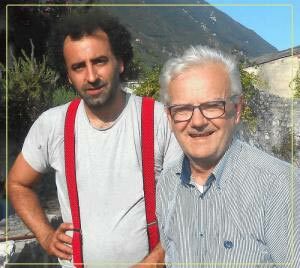 This is thanks to the commitment and passion of the owner Giuseppe Gandossi and his son Fabio. Buying a house next to a lemon garden was a choice dictated by love for this land and for its uniqueness. 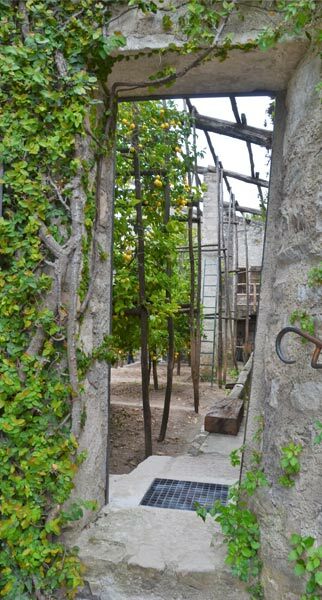 Reviving the lemon garden was a complex task, mostly because I wanted to follow thoroughly the tradition, from the reconstruction of the masonry and the stone pillars, the choice of suitable timber for poles, windows and boards, up to the restoration of canals for irrigation. And then of course the care of the lemons, their pruning and fertilizing, everything is done according to completely natural methods, just like gardeners used to do hundreds of years ago. I have followed a very different path from my father, a path that has often led me away from here. But the passion for the limonaia, for its care, is something that I have deeply engrained in my heart. I have always dedicated my efforts to art, in particular theatre and painting, and I believe that my love for beauty is made real through this wonderful garden. Along its western shore, Lake Garda still offers visitors beautiful and unique architectural structures: ancient lemon gardens. Among them is, La Malora, which takes its name from a nearby stream. Located on a gently sloping hill, protected by a small valley and close to the shore of the lake, our garden has produced lemons for five centuries in perfect climatic conditions. The plants, some more than a hundred years old, belong to a native variety and produce fruits with a thin and very perfumed skin. It is with these that we make a limoncello of the highest quality..
You can visit our garden autonomously, following a path through the old structures and learn about the roofing technique, the particular irrigation system, the mill wheel and, the storage house with the old work tools. The company ArteconNoi was founded in Brescia in May 2012. The members are all graduates in History of Art, accredited as Tour Guides by the Province of Brescia. The company offers services including: guided tours for adults and schools, educational and creative workshops for children, management of events and cultural trips for groups of all sizes, management of museums and libraries, publications, conferences and courses. Brescia and its vast territory become the focus of traditional or unconventional excursions to discover its artistic riches. Collaborators of ArteconNoi also have specific training in tourism oriented to people with visual impairment. They are experts in the application of multisensory techniques that can be very interesting for sighted people as well. Carla Ghidinelli, licensed tour guide in Italian and English, lives and works in the area of Lake Garda and has worked with us for years to guide both Italian and foreign groups in the lemon garden.